David Light Shields is co-author of the book True Competition: A Guide to Pursuing Excellence in Sport and Society. He is an Associate Professor and Teacher Education Program Coordinator at St. Louis Community College. Previously, Shields was co-director of the Mendelsen Center for Sport, Character, and Community at the University of Notre Dame. In addition, he has worked as a consultant with coaches, athletes, school administrators, and league officials to foster a better understanding of the relationship between competition and character. He is also co-author of the book Character Development and Physical Activity. In 2007, he was named Sports Ethics Fellow by the Institute for International Sport. A three-sport athlete in high school, Shields competed in Track & Field in college. Throughout his career he has taught a variety of courses at the college level, including classes in peace and conflict studies, educational theory, and sport sociology. He is married to sport psychologist Brenda Light Bredemeier. 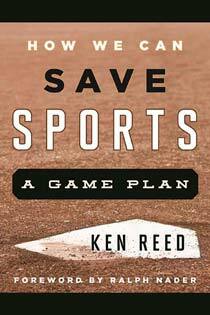 Shields was interviewed by Ken Reed, League of Fans’ Sports Policy Director. Ken Reed: How did you get into the field of sport and character development as a career pursuit? David Light Shields: Well, when I was doing my graduate work I was studying moral development and character development. During that time, I met Brenda Bredemeier, who was a sports psychologist at UC-Berkeley, and we started talking about the connections between our two areas of research. We eventually began working together and developed a collaborative research program. So, for the last 30 years now we’ve been studying issues of character development in sport contexts. Reed: Do you think sport inherently has an ethical foundation? Shields: Absolutely. If you look at the way sports are structured, and look at the way they are intended to be practiced, you’ll see basic concepts of fairness. The reason we have the kind of rule structures we have in sports is to try to ensure equal opportunity to experience success. Rule structures in sports are permanently rooted in moral concepts of fairness. And most sports have rules that are designed to protect the wellness of the participants. Your two basic moral principles, fairness and protection from harm, are at the root of authentic sport experiences. Reed: Could you briefly explain what “true competition” is and how you came up with this philosophy of sport? Shields: True competition recognizes that healthy sport competition relies on a kind of partnership between opponents. To do our best, we need opponents trying to do their best, and the mutual challenge that each provides to the other. Now, true competitors strive hard to win, they would like to win, but ultimately it’s the striving and an emphasis on the pursuit of excellence and enjoyment which is most important in the contest. In contrast, some people conceptualize the contest as a form of battle, a metaphorical war, if you will, in which case the goal is simply to defeat the other contestant and claim whatever rewards there are for victory. That position doesn’t really reflect the value of the opponent and what they are providing to the contest. We came to these ideas after many discussions with athletes over the years. We came to see these two clear ways of understanding what the process of competing is all about. We then simply refined those two basic frameworks of contesting into competition and decompetition, one based on a metaphor of partnership and one based on the metaphor of war. Reed: What is the difference between the popular concept of sportsmanship and true competiton? Shields: A person who’s a true competitor is interested in trying to maintain the moral foundations of the contest. So, they’re interested in the concepts of fairness and maintaining the welfare of all involved. Importantly, they have an appreciation for the moral underpinnings of the contest. For the decompetitor, sportsmanship, to the extent that they buy into the concept at all, is a set of rituals or external pressures that an athlete has to follow, e.g., the coach makes you shake hands with the other team after the game, or help somebody up when they’re knocked down, etc. But it’s not oriented to the moral underpinnings of why it is that we have these norms, why it is that we follow these practices. The key is, do you understand the ultimate intention of the sportsmanship practice or are you simply just following the sportsmanship protocol? 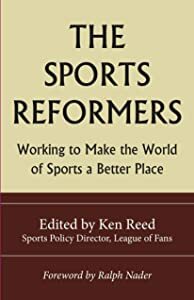 Reed: In a win-at-all-costs society and sports culture, how can we spread the true competition approach to sport to more coaches, administrators, parents and athletes? Shields: Well, one of the reasons we wrote the book, True Competition, was to make clear the distinction between competition and decompetition. One of the reasons we have the problems we have with competition is that people don’t have a vocabulary that enables them to make a distinction between competition and decompetition. So, when people are deviating from genuine competition, we often label that as “Oh, they’re too competitive.” Well, that isn’t the issue at all. You can’t be too competitive. You can’t try too hard to achieve excellence. The problem is that they reconceptualize the entire idea of what contesting is all about. We need a way to talk about that, think about it, and name it so that we don’t mistake that type of behavior as overzealousness or something. Decompetition is really a whole different process than being “too competitive,” and to recognize that, to be able to spot it, and name it, and be able to work with people so that they recognize when they are shifting from genuine competition to decompetition, is critical. Basically, we have to be able to recognize decompetition, and help athletes and coaches recognize it in themselves, if we are going to sustain genuine competition. 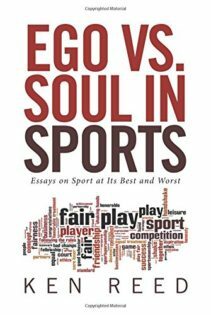 Reed: Do the terms “competition” and “decompetition” apply equally well to other parts of society besides sport? Shields: Yes. One of the reasons we came up with the word decompetition is that the words competition and decompetition apply not only to sport but any place where there is a contesting process. So, if it’s a political campaign, there is a competitive way to do it and a decompetitive way to do it. If it’s a business enterprise, there’s genuine competition in the economic realm and there’s decompetition, e.g., misleading advertising, unfair labor practices, skirting safety issues, etc. The word “decompetiton” works equally well to describe contesting whether it’s sport, politics, business or some other area. Reed: In your language, competition and decompetition are two different forms of contesting. It seems clear that contesting can bring out both the best and worst in people, depending on whether they’re driven by true competition ethos or decompetition ethos. From a sports perspective, what steps need to be taken to increase the chances that contesting brings out the best in people more often? Shields: We’ve been working with the National Association of Intercollegiate Athletics (NAIA) to do research on these two approaches to contesting. After completing that, the next phase of the work will be how to train coaches to implement strategies to support true competition. But we’re not quite there yet. We still have a few research questions we need to get answered before we focus more exclusively on the implementation side. When that happens, we’ll be developing training materials for coaches regarding how to implement this. Reed: Do you think this country’s primary orientation toward sport, decompetition — i.e., sport is war and is a contest that must be won at any cost — can be changed to true competition? Shields: There’s no doubt that culturally, there’s more emphasis on decompetition than true competition. There is societal pressure to take shortcuts in order to win. But that’s a cultural phenomenon that can be changed. We believe that, when people understand the distinction between true competition and decompetition, most people prefer true competition. Thus, it’s an educational challenge. The hope is our book has helped create a vocabulary for change. If so, that is one step forward.